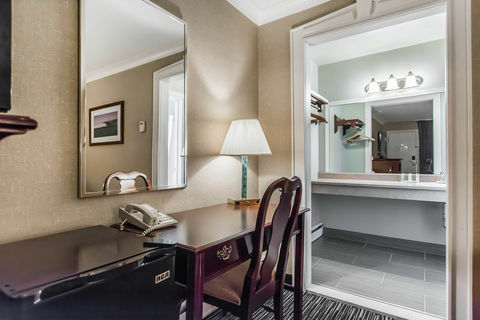 Use our hotel gallery to explore our stunning Summerside property. 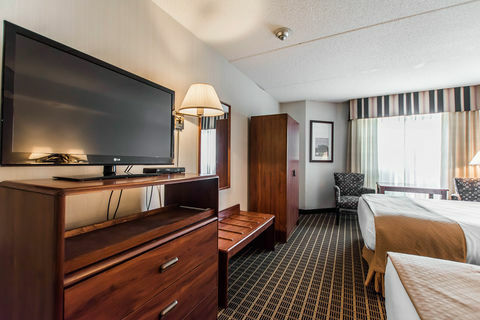 From spacious guest rooms to delicious dining and exhilarating entertainment, we offer everything that you could need, right here at Quality Inn & Suites Garden of the Gulf. 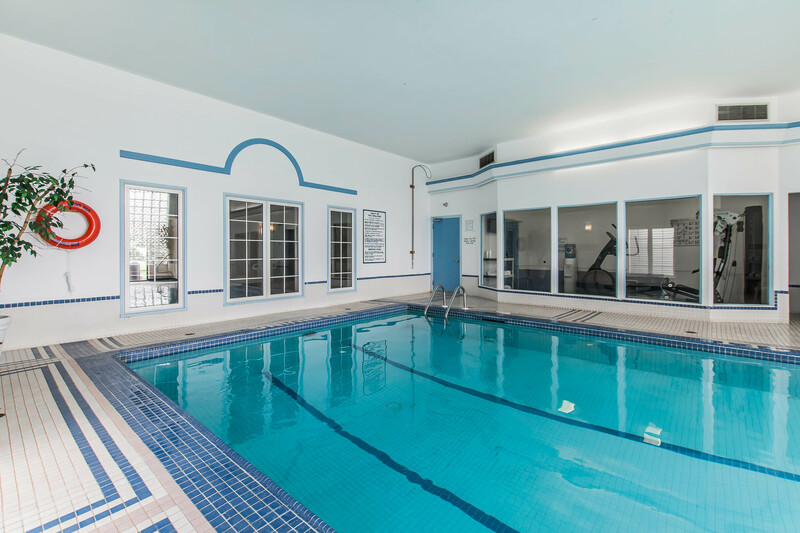 Tour our unique property, which features a lush, rolling golf course overlooking the shore, two pools, an exercise room, bicycle rentals, a business center, and much more! Blending indoor and outdoor space efficiently to create a recreational oasis, you are sure to enjoy every moment at our hotel. 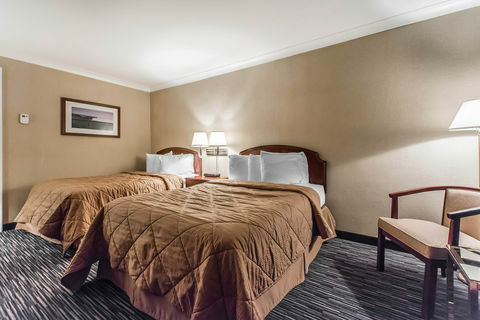 Additionally, our hotel is particularly tailored to accommodating group travel with specialized rates, room blocks, and a dynamic property aimed at pleasing everyone. 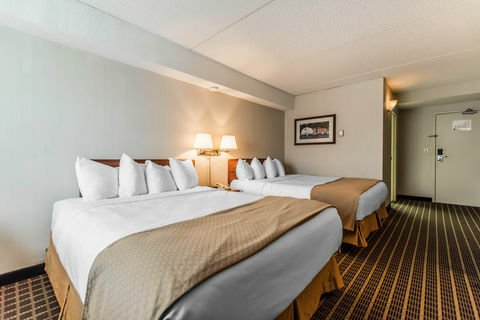 Submit an RFP today to find out how much you can save on your group stay! Wandering from one end of our property to the other promises an excursion through a beautiful indoor garden courtyard, stunning PEI views of the water, and a tour of our scenic, well-maintained landscape. 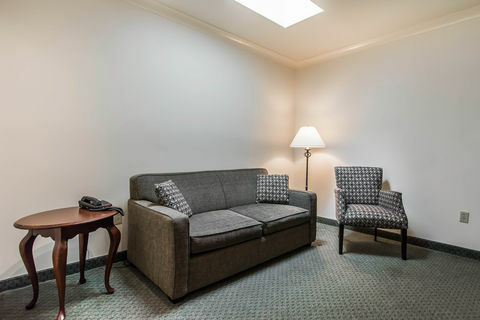 Bring the pets and book your stay today! 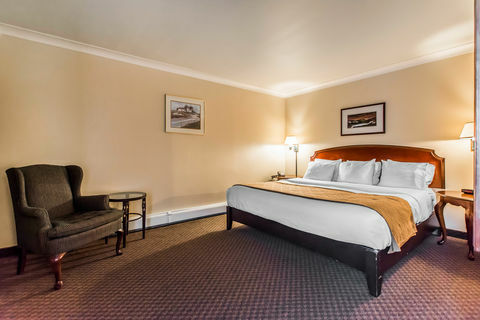 Choose our newly renovated accommodations in Summerside, PEI to be your home away from home in the Maritimes. 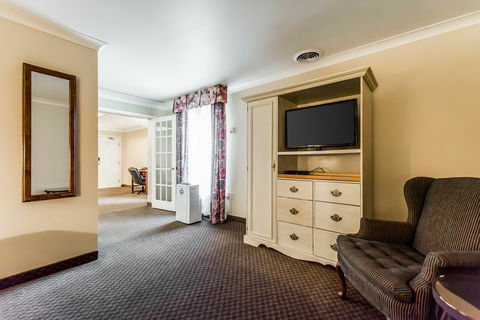 Our property is characterized by its unique blend of indoor and outdoor areas, with indoor courtyards, sprawling views, and many well-maintained outdoor spaces with room to relax and appreciate PEI’s natural beauty. 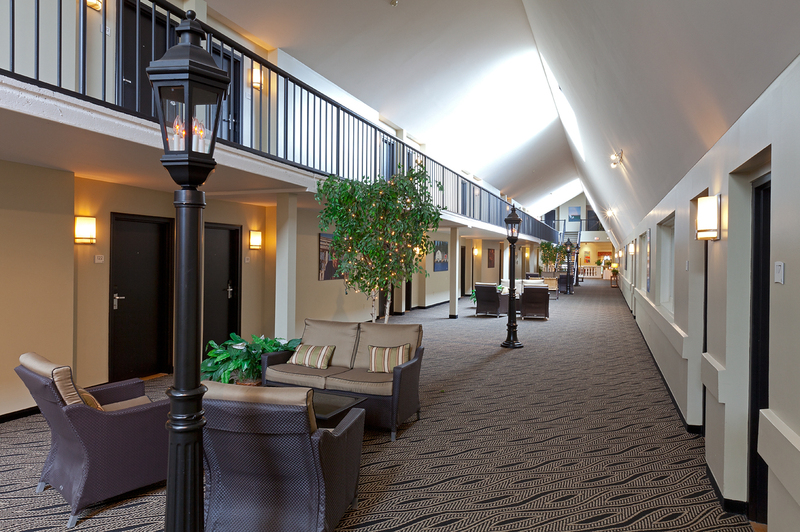 Savour some time in our interior garden courts with lounge chairs, tables, and lots of natural light. Relax in the summer sunshine on our outdoor patio, equipped with lounge chairs, pool chairs, a gazebo, several tables, and the pool bar. Our distinguished property is a recreational paradise! 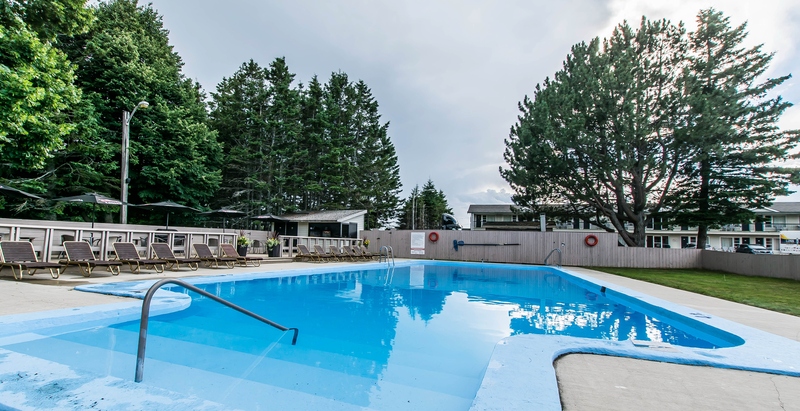 When you aren’t splashing in a pool, enjoying the lush, scenic landscape, or exploring the many wonders that PEI has to hold, play a free round of golf right here on site. 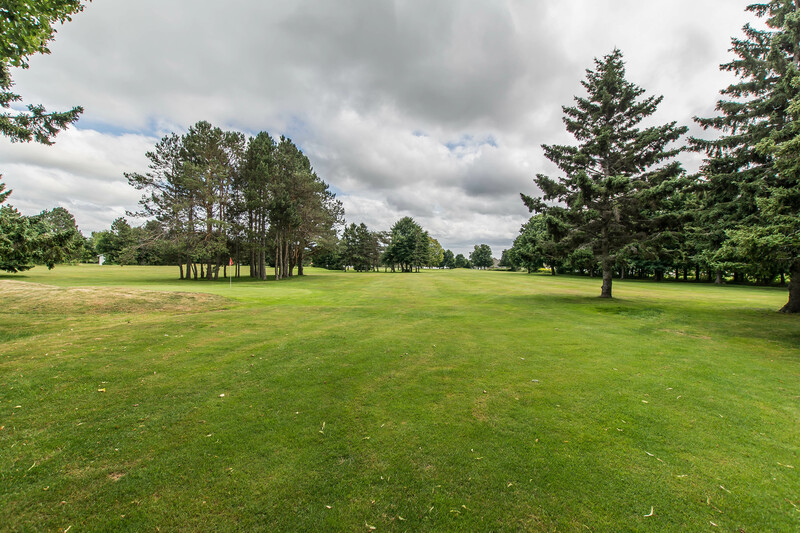 The golf course is open from sun up to sun down and operates on a seasonal basis. While we stay open as long as weather permits, generally you can expect it to be open between the months of May and October. Travelling with the kids? Our par 3 golf course is fun for the whole family! 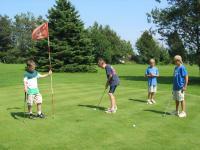 And, while you are in Cavendish, you will find an array of family-friendly golf courses with mini golfing opportunities. 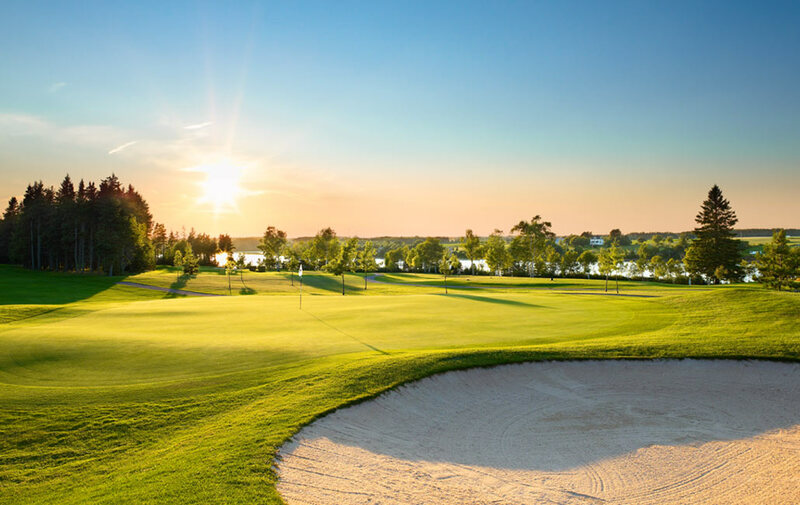 Book your stay at our centrally located hotel today and easily access the wealth of illustrious golf courses in PEI, Canada. 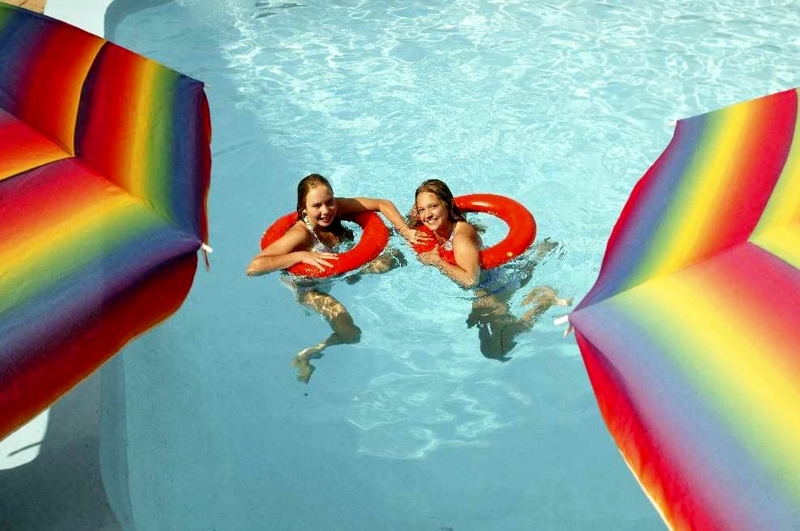 The outdoor pool is open from sun up to sun down each day. 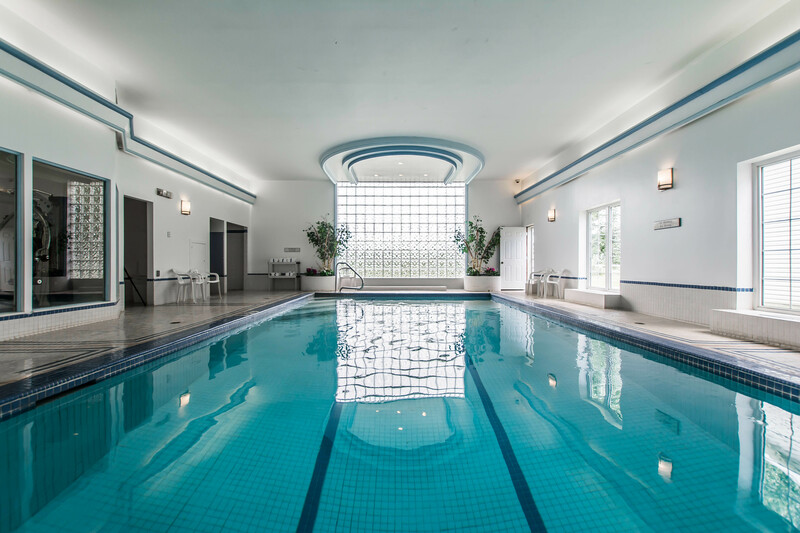 Our Summerside, PEI hotel with pools promises a luxurious experience with poolside service. Enjoy snacks and cocktails, beer, or wine from the comfort of your pool lounge chair. The Q Pool Bar & Grill is open seasonally, with daily operation from noon to 8:00 pm. 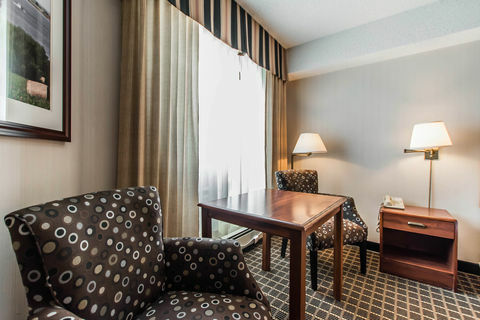 At Quality Inn & Suites Garden of the Gulf, we take pride in providing travellers with the ultimate guest experience. 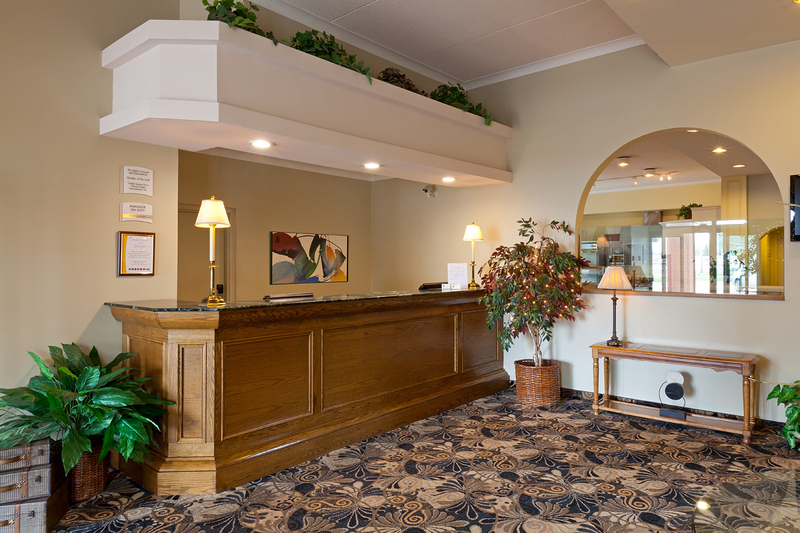 Take advantage of all of the following on-site amenities and more during every stay at our hotel in Summerside, PEI. 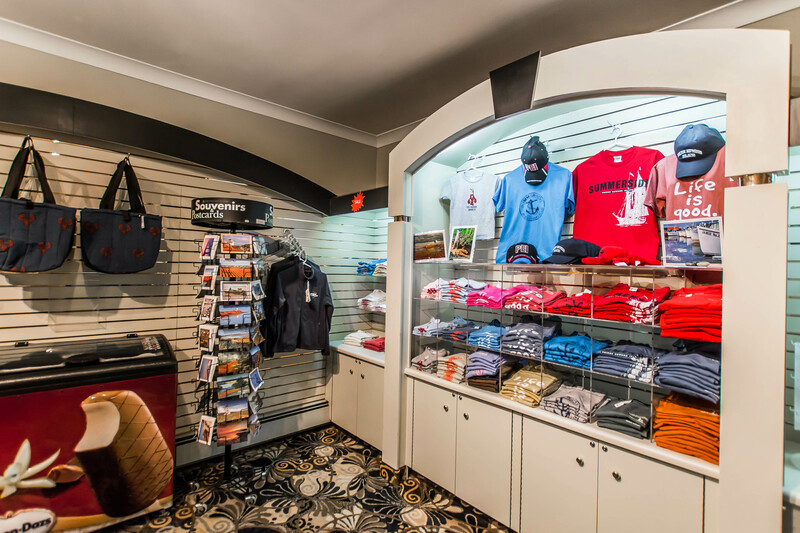 The store is located directly beside the front desk and is open 24 hours a day for your convenience. 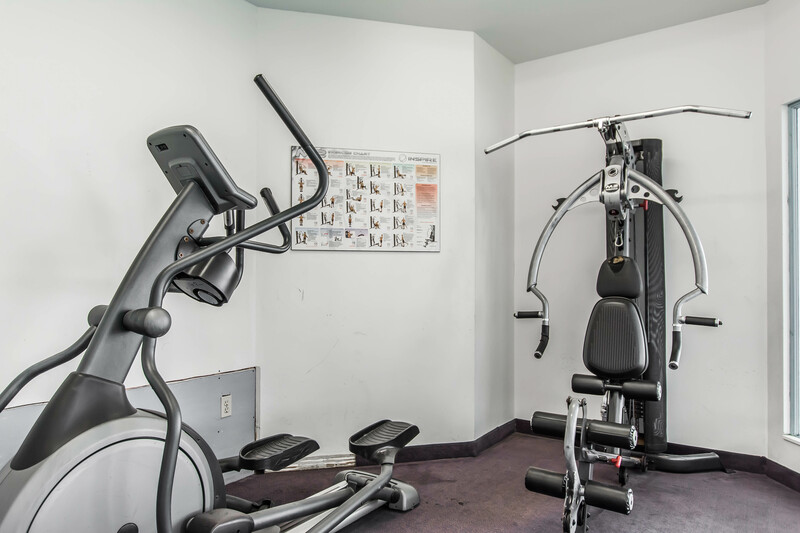 Our exercise room is available for use between the hours of 6:00 am and 10:00 pm. If you would prefer to get your exercise outdoors, go for a jog along the 7 km boardwalk, cross the street and run along the Confederate Trail, or rent a bicycle from our property! Capacities vary based on room set-up preferences. We are pleased to offer coffee breaks, muffins, and varied snacks. 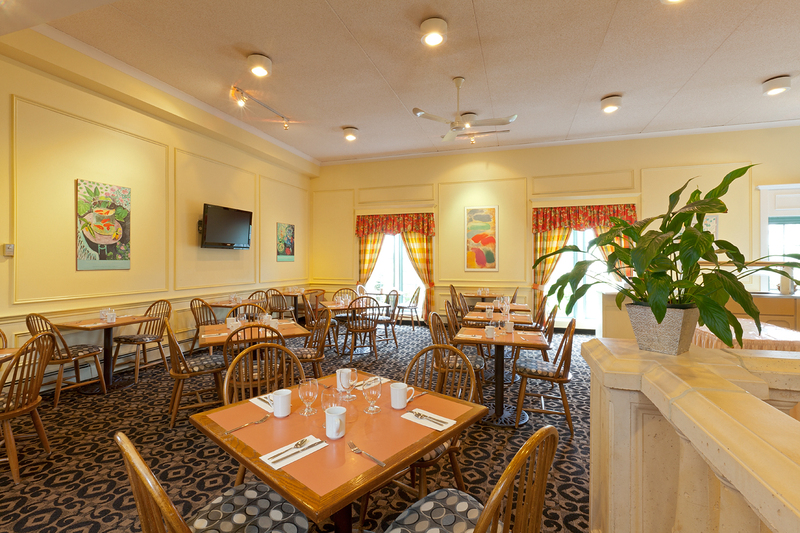 We are also capable of providing a working lunch, or arranging an on-site meal for you and your team at Brothers2. 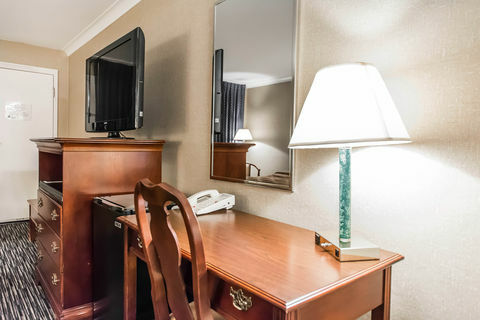 Stay in contact with home or the office with ease from your room or from our 24-hour onsite business center. Enjoy the use of a computer, printer, and a copier. Scanning is available at the front desk. 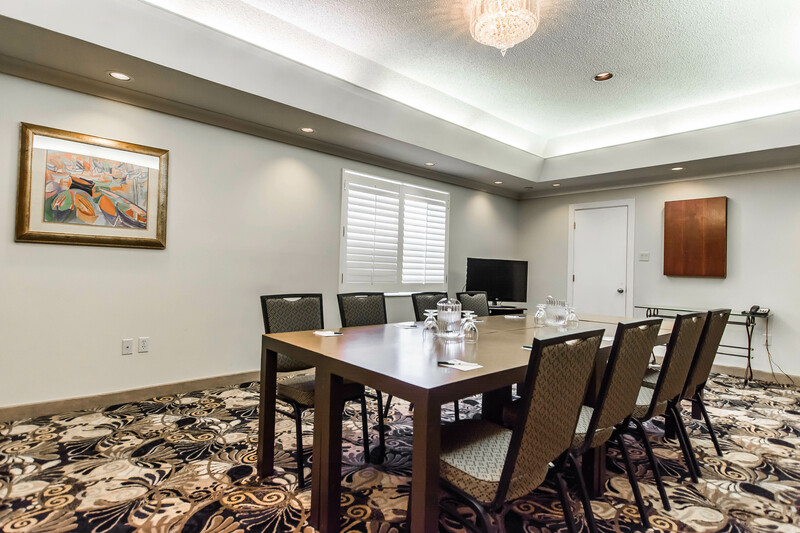 Our boardroom is outfitted with all of the essentials for a seamless business meeting. 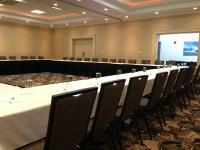 Enjoy a boardroom-style table with 10-12 chairs and standard audio and visual capabilities. 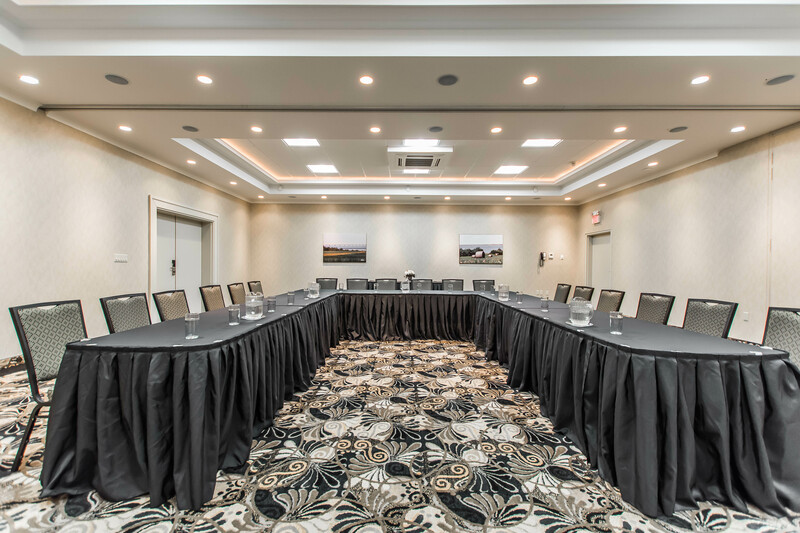 For a larger space, consider instead our Dunning or Rankin Room, both of which are 600 square feet and can hold between 20 and 60 attendees, dependent on set-up. 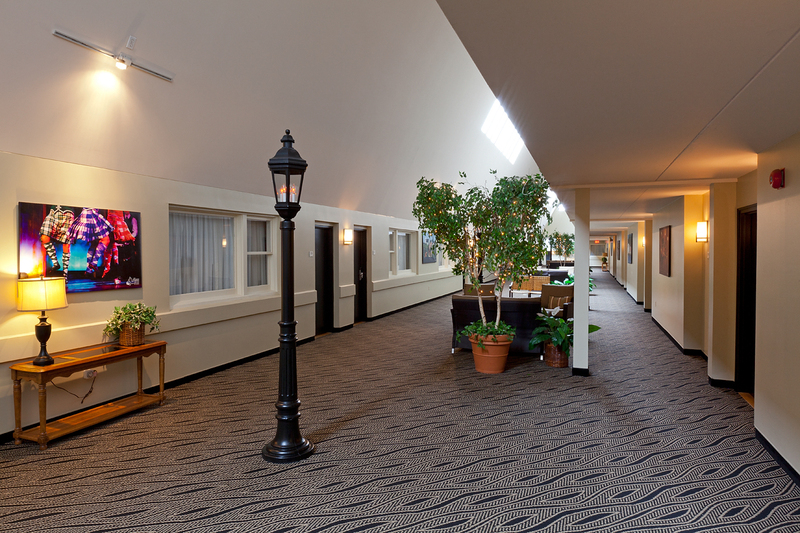 Alternatively, rent the two rooms as one grand space for larger events. Sprawling a spacious 1,200 square feet together and named the Dunning-Rankin Room, the venue can accommodate up to 130 guests in a theatre-style seating set-up. Our dedicated event planners are determined to actualize your ideal event. 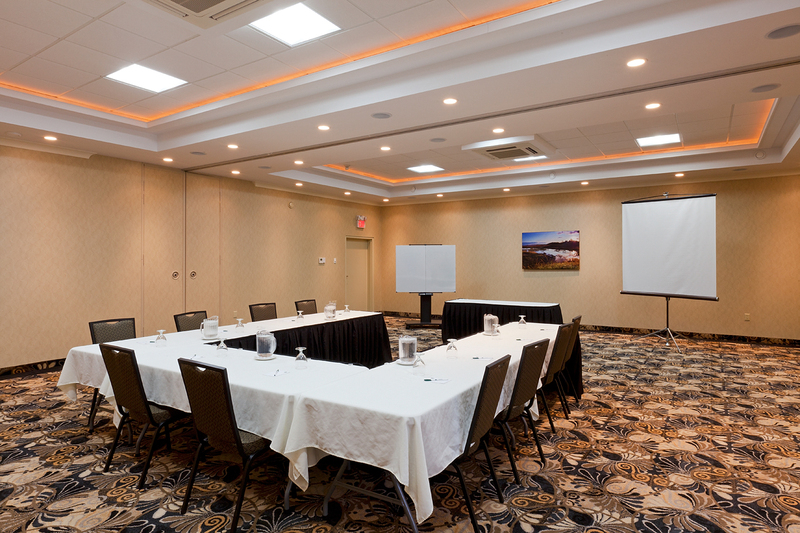 Allow us to assist in the planning, set-up, and execution of your event at Quality Inn & Suites, PEI.